With Dyess Air Force Base located here in Abilene, there is a tremendous amount of "International Moving" that occurs, both into and out of Abilene. Moving is already stressful, and making an international move with your pets can be overwhelming with the paperwork and logistics. 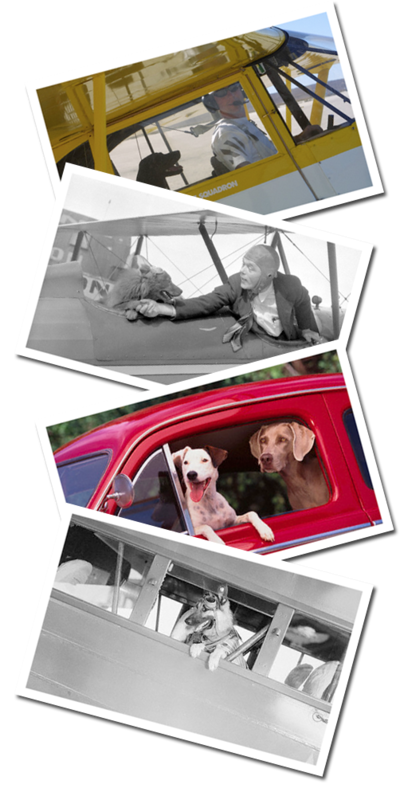 Windmill Animal Hospital highly recommends you make your pet's travel arrangements with the guidance of "Airpets America", based just a few miles west of the air travel center of the universe - Dallas/Ft. Worth (DFW)! Airpets America is owned by Karoline Brewer. Airpets America works very closely with Dale Hodgson, DVM. Dr. Hodgson is USDA accredited and has many years of experience with International and Domestic transport. When you use their professional pet relocation services, all security clearances are done prior to your pet boarding the plane. This means that airline or security personnel never remove your pet from the security of his crate, which reduces risk and stress to your pet. Their staff of pet relocation experts will handle every detail for you. Airpets America will coordinate with you well in advance of your move and consider any special needs you or your pet may have. Airpets America provides your pet personalized, door-to-door moving services! They use only air-conditioned, enclosed vehicles for ground transportation. They also have insurance coverage for ground liability.